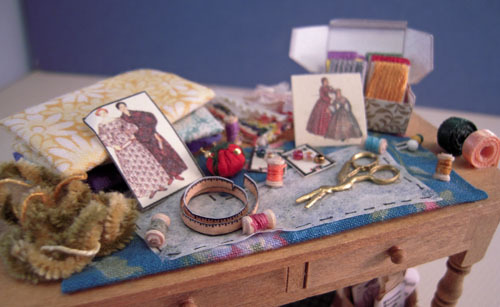 The little table is made of wood, finished in natural wood and filled with sewing supplies. It measures 2 1/2"Hx4"Wx2 1/4"D and is hand crafted by Taylor Jade. 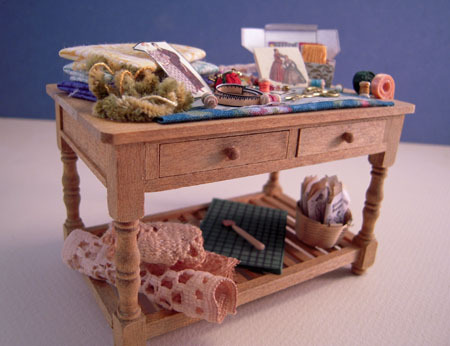 A marvelous piece for your 1:12 scale miniature sewing room.